All Video Michael Jackson Conspiracy? Michael Jackson Conspiracy? Jackson dead 20 years ago? There has been a chilling discovery at "Michael Jackson's" Neverland Ranch. Investigators have uncovered a corpse buried just inches beneath the train tracks that run across the ranch. Supposedly, through dental record examinations as well as DNA tests there has been a confirmation that the corpse found belongs to the real Michael Jackson. They stated that the state of decomposition leads them to believe that Michael died around the time that his album "Bad" was released. 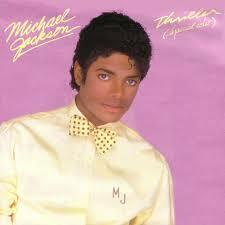 Investigators are also analyzing Jackson's song "Man in the Mirror," for any clues that they can find. They are suspecting foul play in his death. Many believe that the real Michael's death was the work of a crazed fan who wanted to assume his identity. Only time and more investigation will tell the truth about Michael Jackson's death, or deaths for that matter.